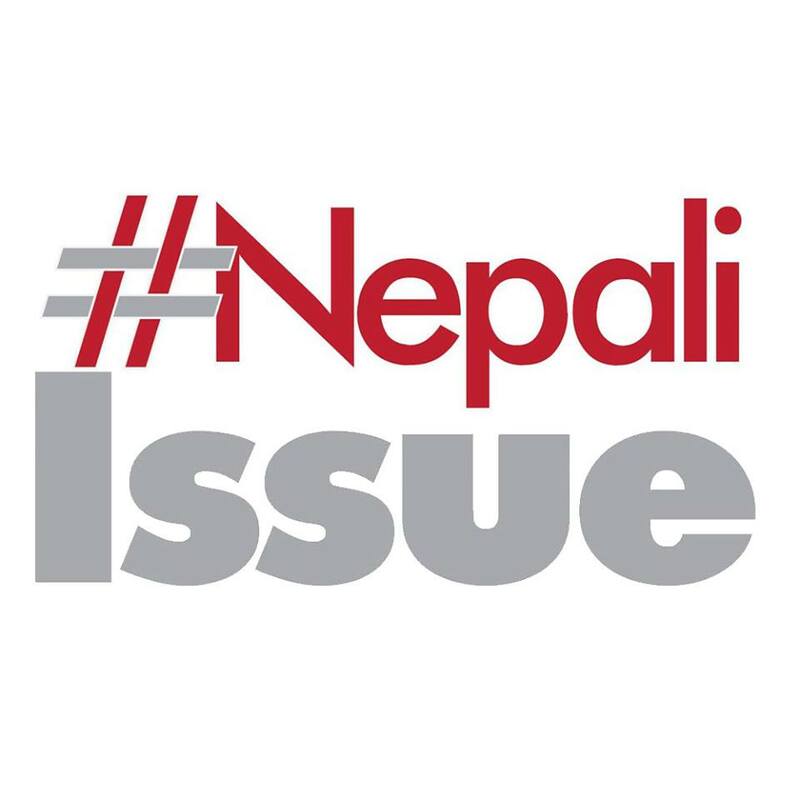 +United Nations Development Programme (UNDP)'s innovation project 'Idea Factory' in partnership with Microsoft Innovation Center Nepal has announced entries of innovative ideas. 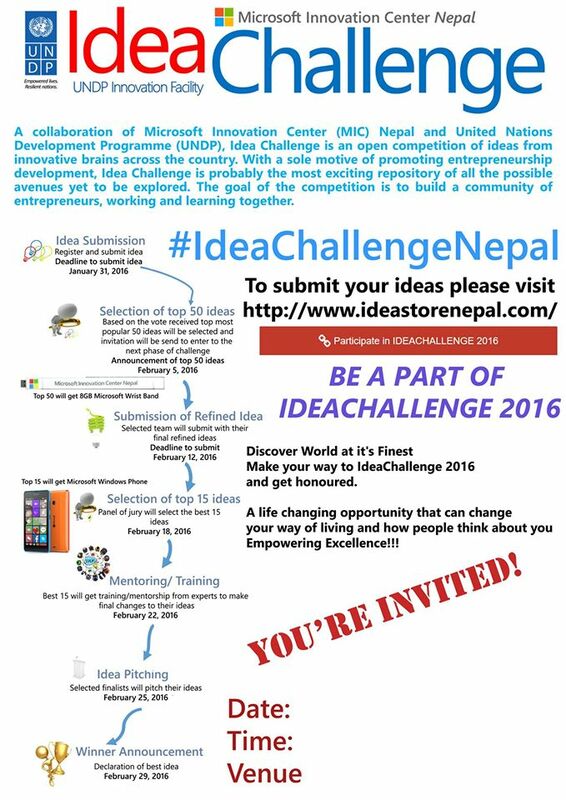 Idea Challenge is an open competition of ideas from innovative brains across the country. 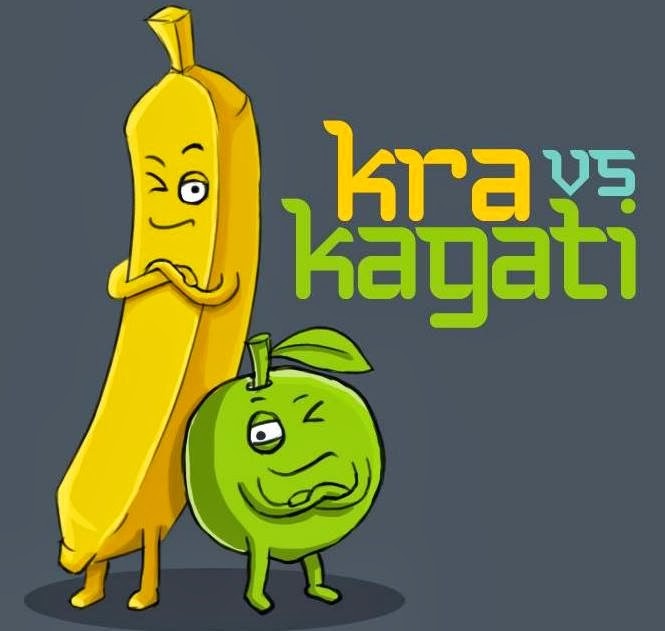 With a sole motive of promoting entrepreneurship development, the competition builds a community of entrepreneurs, working and learning together.This will act as a space to learn more about entrepreneurship, develop skills, ask questions and learn from our community of experts from the public sector, private sector, academia, and all of fellow young innovators. 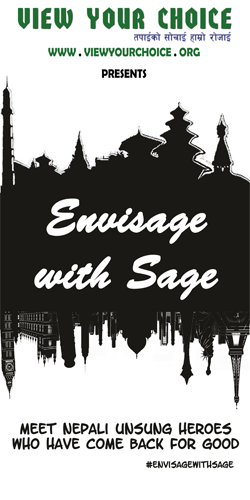 It offers a platform where anyone can share his/her ideas, explore others ideas and seek business partnership and linkages. There are three phases for the challenge. Phase Two selects idea management, skill development and business development training. Selected team will submit their final refined idea with business plan. Best 15 ideas will be selected. Phase Three selects best 3 from the 15. Winner will be chosen from the best 3. 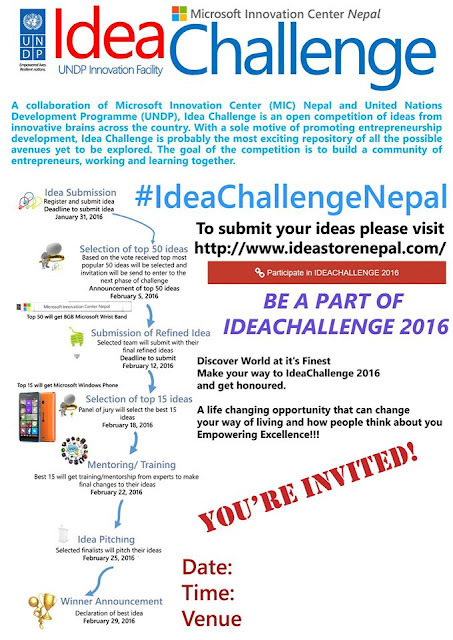 Idea Challenge is a great platform for the enthusiastic Nepalese to share their ideas and gain some skills. 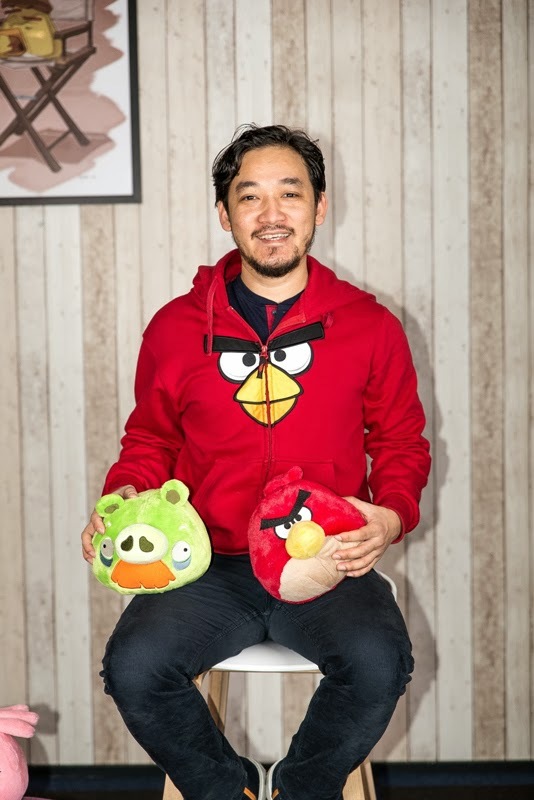 If you have an idea, why not submit it? Who knows, your idea might change a life! Participants can register and submit their ideas through IdeaStore.